Fig. 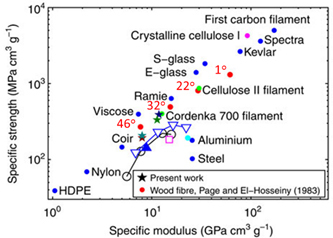 1 Specific strength and specific modulus for common filament materials(1). Fig. 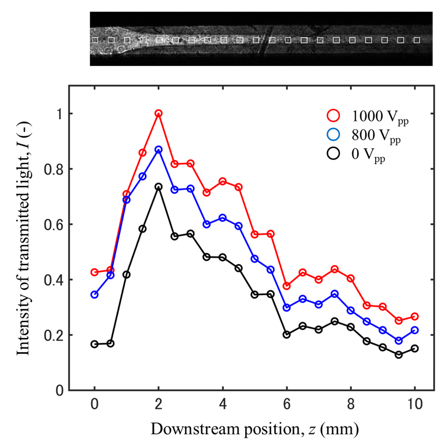 2 Developed flow-focusing channel with electrodes. Fig. 3 Schematic illustration of experimental setup for visualization. Fig. 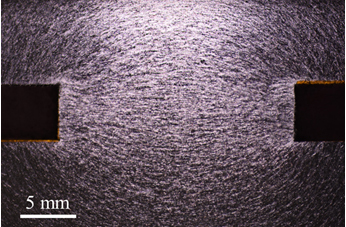 4 Visualization of micro-scale cellulose fibrils with or without AC electric field. Fig. 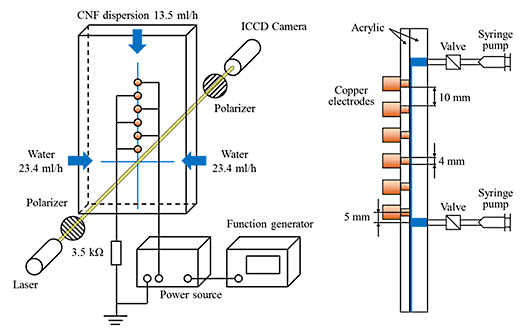 5 Schematic illustration of experimental setup with a flow-focusing channel imposing electrostatic field for the alignment of charged fibrils in the upstream of flow-focusing section. Fig. 6 Axial distribution of transmitted light intensity for various applied voltages obtained from the averaged CCD image at the square sections shown in the picture. (1) Håkansson, K. M., Fall, A. 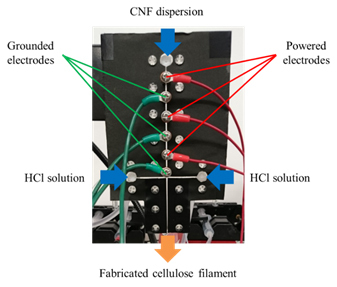 B., Lundell, F., Yu, S., Krywka, C., Roth, S. V., Santoro, G., Kvick, M., Wittberg, L. P., Wågberg, L. and Söderberg, L. D., “Hydrodynamic alignment and assembly of nanofibrils resulting in strong cellulose filament”, Nature Communications, Vol. 5, No. 4018 (2014). 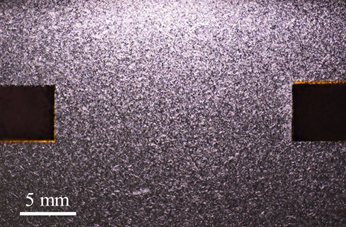 (2) Håkansson, K. M., “Online determination of anisotropy during cellulose nanofibril assembly in a flow focusing device”, RSC Advances, Vol. 5 (2015), pp. 18601-18608.